To celebrate 2017 being the year I intend to get back seriously into blogging after not really finding the time as much as I'd like to, I'm going to have a competition! 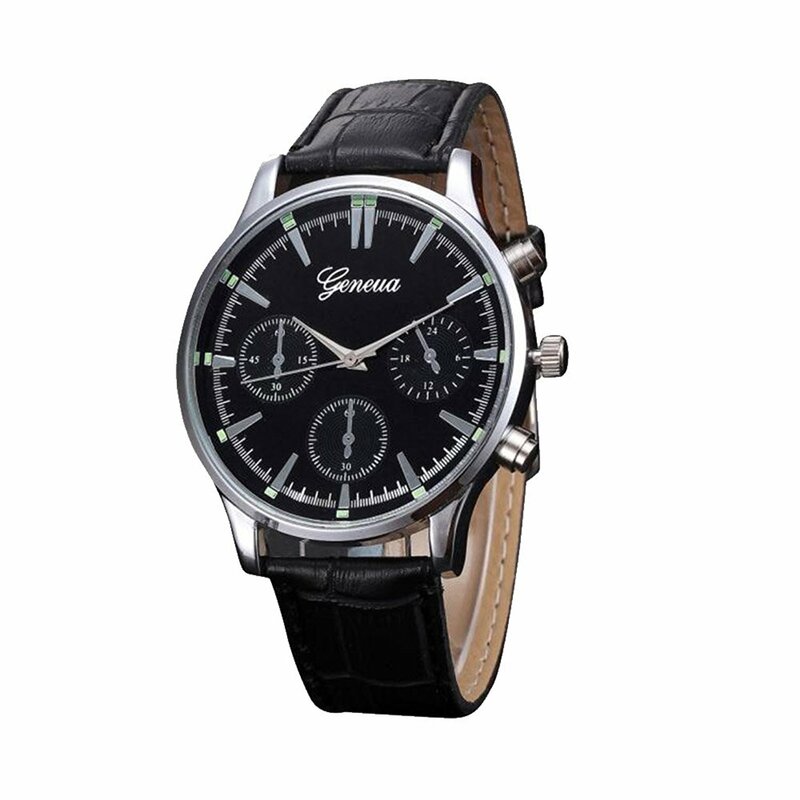 You can enter to win this Men's Black PU Leather Watch! Just enter via the Gleam app below. I would give it to my husband, he loves watches. Thanks for your comment! There are 2 more watches up for grabs too! I'd give this watch to my dad, he'd love this! I would give it to my husband,he is always late. He's a lot like me then! Thanks for your comment! There are 2 more watches up for grabs too! I would give this watch to my gorgeous other half, Rob - the kindest and funniest man I know! To my dad on his 65th birthday in July! Ooop just realised the comp runs until the day after my dad's birthday so if I win, I will give it to him for Christmas! Love this watch, I would give it to my Hubby. If you're entering the competition, you need to comment telling me who you would give it to :) There are 2 more watches up for grabs too! I would give it to my OH. My hubby to be! He would love this! I'd give it to my dad, he loves a watch! Me! I'd keep it for myself!! My husband or I would be in trouble! If I was lucky enough to win this watch, then I would give it to my hubby, thanks. My husband is obsessed with watches, he would love this one. My Step Dad - he raised me since I was young and he'll be the one walking me down the aisle one day :) I'd love to treat him! I would give this to my husband Richard for our 52nd wedding anniversary - its 'Time' I treat him! My dad, he loves a good watch. My Brother in law, he's watch mad. I'd give it to my fiance - he's obsessed with watches! I'd give it to my brother whose birthday it is this week! I would love to treat my partner, he deserves it. I would give this to fatherbear! Not worn a watch in so long, and now maybe time (pun intended) that I started wearing one again. If I won the watch I would give it to my brother. My boyfriend, as his broke recently and he feels lost without it so i know he would love this! My other half - he would wear it for work! My husband - he'd love it! I'd give it to my brother! stunning watch. Can i give it to myself? PLEASE! I would give it to my dad who would love this. I'd give it to my father-in-law. He's a top man. Definitely deserves something nice like this. I definitely think a present to myself . I much prefer having a watch to pulling out your mobile to check the time . My dad he would love it! I would give the watch to my husband. I would give this watch to my dad - of course. I'd give it to my son for his 18th, he'd love a nice watch.